Mahatma Gandhi once said: “Sanitation is more important than Independence” great words by a great man! Being born and brought up in Bangalore, didn't mean that I did not get to see the dark reality of this world. You can still find some places in Bangalore which are dirtier and stinkier than any part of Earth! If you ever cross my house you will see a big sign reading "Do NOT throw garbage here" just opposite to our house, carved in orange paint. The irony is that people tend to ignore even such a big sign and we seldom find garbage bags littered in front of our home. Any vacant piece of land is nothing but a place used by people to dump garbage in India. Apart from this you have those epic moments when you find a man peeing right at the board which says "Do not pee here". How much can one take all this? Well... I can't take it anymore! It's time to use my voice and do what I can. It's time to do my part and keep doing it until my last breath. Enough of silence, #AbMontuBolega ! A hygienic India is a dream which will come true only with the participation of every single Indian. It can never be achieved by participation of only a small group! The first step is spreading awareness and speaking up. It's funny how we Indians keep our homes clean but when it comes to our surroundings, we have this absurd notion that its Government's duty and not ours so all's a total mess. We need to understand that keeping our surroundings clean is as important as keeping our homes clean. The Government does not live in your surroundings, if there is anybody who is responsible for all that garbage, it's you! Majority of us Indians have this bad habit of spitting anywhere we want to, what we don't realize is that simple yet grievous act of spitting is paving way to lethal diseases. Most of us even dare to do it on boards which read "No spitting"... this is such a sorry state which needs a quick and effective attitude check! Being blessed by parents whose hometown was a village close to Lucknow, I got a clearer check of reality as a child. Here comes another sorry state of 'open defecation'. While it's not so common in the urban areas, its still very much in vogue among the rural areas. 70% of the railway lines in India are used as hideouts for open defecation by the people dwelling in the neighbouring lands. It kills when an otherwise beautiful journey by train is spoiled by unwelcome stinks and fragments of human defecation! All these and many more problems in India have to be put to an end. If not now then when? If not you then who? Wake up before its too late! Raise your voice, speak your thoughts, and make a difference! Our attitudes towards hygiene and cleanliness need to change, only then will India be truly free! This is my post for #AbMontuBolega campaign by Strepsils and Indiblogger. About the campaign: There are many places that should be cleaned, many people who deserve your attention & authorities who need to hear your opinions! It's time to stop being a silent spectator and raise your voice, making a difference. This campaign aims on just that - Bahut hogayi khamoshi, #AbMontuBolega! Yes, it is time that each one of us woke up to the menace of bad habits and bad attitudes that compromise the sanitation, hygiene, and cleanliness of the nation. Such posts will help many readers consciously adopt clean habits. 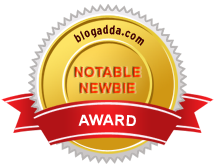 Hi, I have tagged you in my post Diary Confessions - 8 for BlogAdda #WillYouShave activity. I hope you will accept it.